Business owners of all types hope to one day renovate an existing location or open a new site altogether. More often than not, they hope to not only save money, they also like to maintain a high level of control over the entirety of the project. Whether you are a Yuba City, California, business owner or developer, 4J Construction Services, provides highly-skilled construction managers ready to guide you on the way to seeing your plans for a commercial building project become a reality. With our help, you will still control every aspect of your project and you will also benefit from the expert knowledge that our team members can supply. Since our founding more than 20 years ago, 4J has garnered a reputation for integrity and dedication to providing a level of service not easily found elsewhere. Every construction manager employed by 4J Construction work diligently to ensure that our clients are well-informed throughout every project for which we are hired. Regardless of the size and scope of your project, our team members will focus on providing you with the advice that will best suit your needs. Whether you simply need a little guidance or a well-involved partner, we will be your advocate and translator from beginning to end. Our industry experience allows us to provide our clients with nothing but the best in construction oversight. With our help, clients benefit from cost savings and our respectful adherence to their budgets and timelines. Clients come to 4J for assistance with the most complicated details associated with constructing a new commercial building. 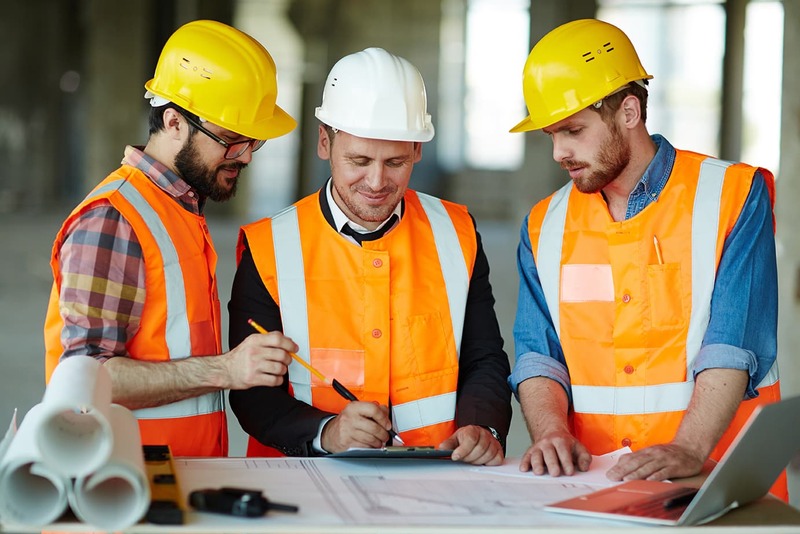 The 4J construction manager assigned to your project will help you obtain permits, orders supplies, and hire subcontractors, among many other tasks. Twenty years in business has taught us how important it is to keep an honest and consistent line of communication open with our clients. You can be sure that a construction manager supplied by 4J Construction services will provide the best oversight possible throughout your entire Yuba City, California, project. Our team of construction experts is also available to assist you with budgeting, development consultations, and general contracting services. You can count on our team to provide the best commercial building services available.